Cleaning tile floors by getting down on your hands and knees is not only exhausting, it's not very effective at getting deep down dirt removed. 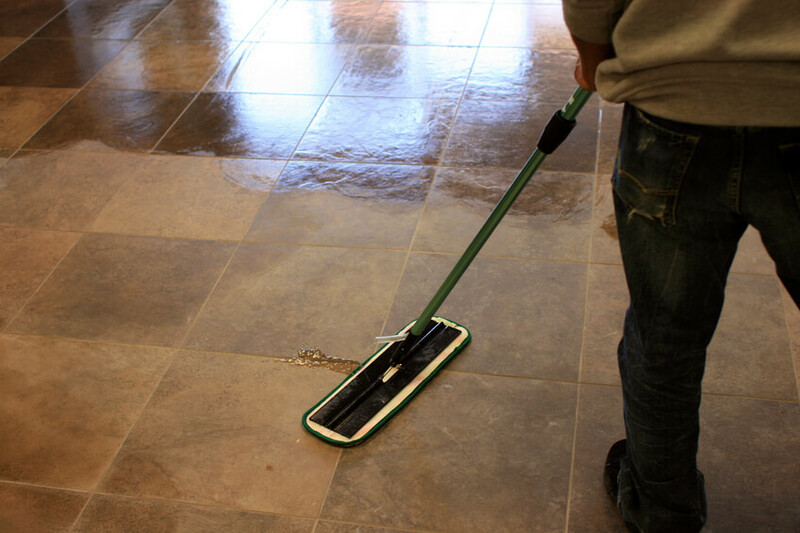 Grout is porous, so it collects dirt, oils and grease, leaving the grout and tile discolored. Our safe, high pressure steam and grout machine extracts that dirt and grime, making your tile and grout look new again! With our perfect blend of Machine and Cleaner, we get far better results than you and your mop could ever get! After we clean your tile and grout, we can coat it with a sealant that helps protect your tile and grout against future spills and stains. This also helps avoid permanent stains between cleanings. We can also color permanently-stained grout to match your existing color, or change it to a completely new color. 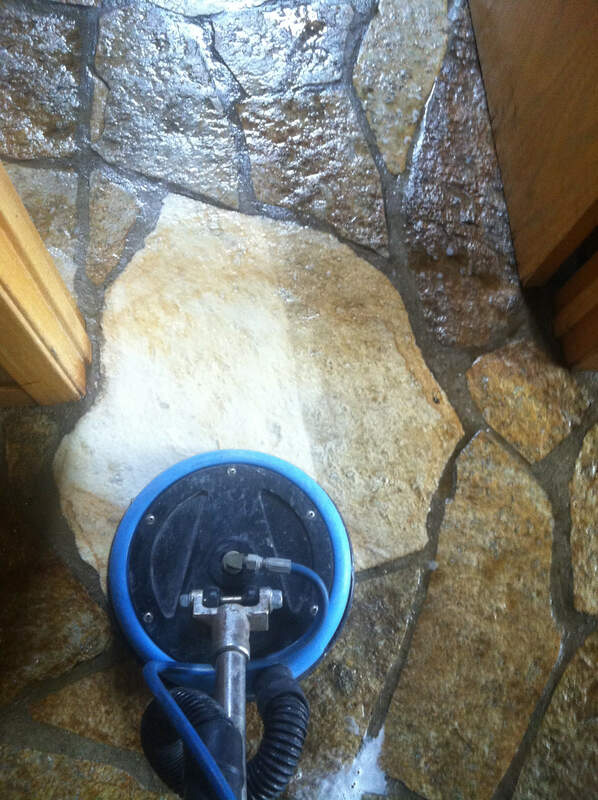 If you include sealant in your cleaning, you may walk on it almost immediately. However, we suggest waiting 24 hours before mopping again, to allow a complete seal to form properly.